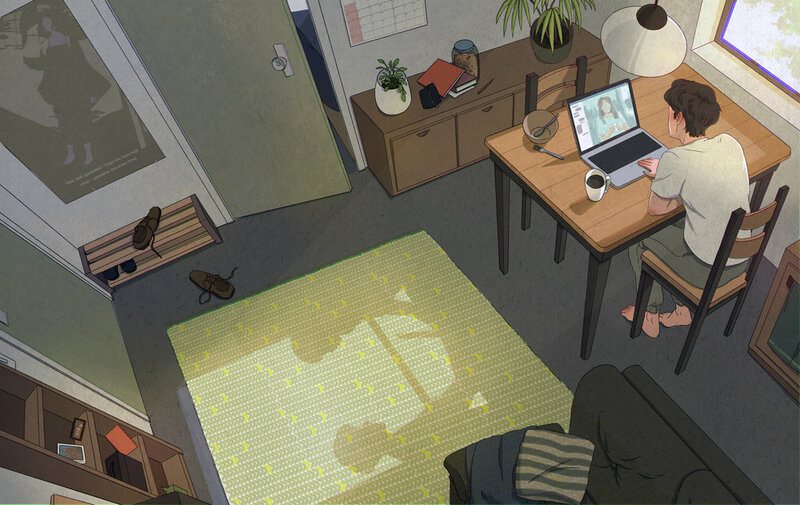 An ongoing series of illustrations portraying the feelings of a couple in a long-distance relationship. “How can my heart believe in something so far away when also wanting you to be within my reach?”. What I know is that I am scared. Sure we can name what distance has taken from us. Miles away and we can’t even see each other. Sure we can name what distance has taken from us,…. but I know that our hearts never drift apart. As time goes, my mind is always filled with the thoughts of you. Most of the time, they accompany me through the days. Other times, they make me feel like I am missing something by my side.